Brazil has two rainforest biomes; the Amazon and the Atlantic Rainforest which in Portuguese language often is referred to as Mata Atlântica. 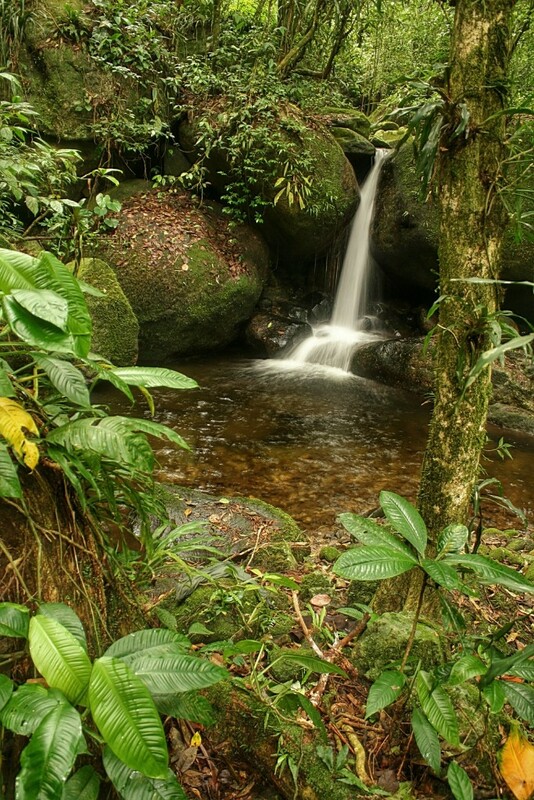 While the Amazon is a flat tropical inland rainforest with large river systems, the Atlantic Rainforest is a moutainous tropical and subtropical coastal rainforest that stretches about 4.000 km along Brazil´s shore. Mata Atlântica contains the world’s second largest biosphere reserve, 4 of the 7 Brazilian natural world heritage sites and about 600 of the 900 conservation units. The flora and fauna of this unique hotspot is distributed over 9 ecosystems with up to 5 altitudinal zones. Geological, biological and social/cultural diversity is exceptionally rich. In some locations, on an area of just 100 x 100 m, more than 400 tree species and 5.000 plant species have been identified.